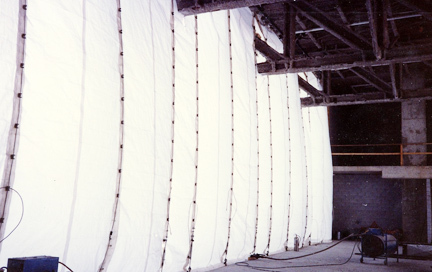 Since 1978 Layfield has provided weather protection products to the construction industry. We have a complete line of construction tarpaulins from light-weight single use to our high strength WeatherPro TES scaffold protection system. Layfield provides each major region with products suited to that market. These may include products such as insulated concrete curing blankets, construction tarpaulins, RPE roll stock materials, WeatherPro tarpaulin systems, debris netting, and many others.